August 11, 2017 | 2 p.m. 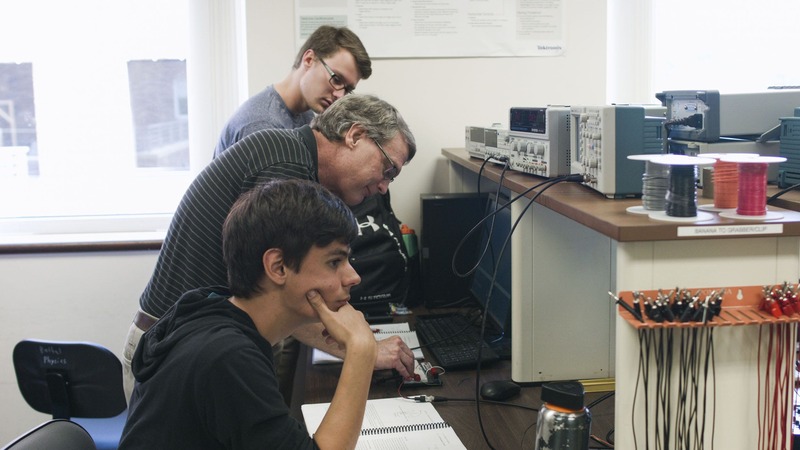 The Bachelor of Science in Electrical Engineering will give students exposure to advanced, specialized labs while keeping class sizes small and faculty-student relationships close. Bethel is proud to announce the addition of a Bachelor of Science in Electrical Engineering degree. The field of electrical engineering has long been a strong emphasis in Bethel’s widely-recognized physics and engineering department. Previously, students could begin a pathway toward electrical engineering fields through the dual-degree program, where they would complete undergraduate work at Bethel and specialized graduate work at an approved university, graduating with two bachelor’s degrees in five years or a bachelor’s and master’s in six. A second popular path started with students earning an applied physics major at Bethel followed by two years in a second school’s graduate program, resulting in a master’s degree in electrical engineering in six years. Countless alumni have already gone into successful careers in electrical engineering, their research interests, aptitudes, and professional networks shaped at Bethel. While the dual-degree and applied-physics-to-grad-school options remain appealing pathways for a number of engineering specialties, electrical engineering students will now have the option to further specialize their undergraduate focus and take a more direct path toward employment or graduate school in this high-demand field. Preparations for this new major have been underway for some time, with significant summer renovations in the department’s space to make way for dedicated electrical engineering-focused lab space and equipment and cosmetic upgrades throughout. While many universities separate physics and engineering programs, Bethel has made a conscious effort to keep the programs intertwined spatially as well as programmatically. Physics and engineering students—and faculty from the various programs—will work side-by-side and learn from one another. This summer, Karen Rogers also joined the department as associate professor of engineering, one of two new full-time faculty members in the Department of Physics and Engineering. She received her bachelor’s degree in electrical engineering from the General Motors Institute and her master’s and doctorate in mechanical engineering from the Massachusetts Institute of Technology—making her an ideal choice for adding cross-functional expertise in the rapidly-growing department. “God prepares us for the jobs He has in store for us. As I look back over my 22 years at my previous university, I see the many ways God was preparing me for launching the electrical engineering program at Bethel,” says Rogers, who first settled in to campus in the midst of construction dust and within days was installing equipment and making plans for her courses. She’s taking all the changes in stride, bringing her expertise and winsome character to her new team and home at Bethel. “I am excited to get started, to meet the students, and to help prepare them academically for the jobs God has in store for them." She had a 22-year teaching career at Kettering University in Flint, Michigan, during which she served as interim department head for electrical and computer engineering. 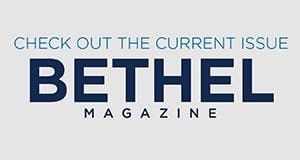 As Bethel looks to the future and expanding on its already-stellar reputation in the sciences, Rogers’ leadership, teaching, and program development and accreditation experience will be invaluable. Rogers joins six other full-time department faculty who hope to build on recent National Science Foundation (NSF) and other grants, incredible internship and research placements, and positive national reputation to attract and serve increasing numbers of students interested in STEM careers. To apply for this program, request information, or view other options in physics and engineering at Bethel, visit the B.S. in Electrical Engineering program webpage.